Pre-register by 9/17 to guarantee a t-shirt! Want to guarantee you will get a cool event t-shirt? Get registered before 9/17 to make sure you receive your shirt. T-shirts for event day registrants are first come first serve on the day of the event. That's OK! Saturday from 4pm-7pm we will have dinner for $10! There will also be kids face painting, Monticello fire truck, beer garden, silent auction, live music by Outside Recess and more! What Is Party For A Purpose? 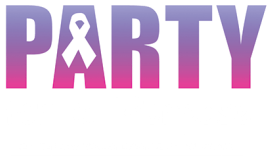 Party For A Purpose is a Non-Profit organization that is dedicated to raise money to help area cancer patients that might need a little extra boost. The best part is that all the proceeds that Party For a Purpose raises stays local, so you can be sure that when you support Party For A Purpose that you are truly helping your friends and neighbors!